Maintain quality air throughout your home all year around! Your indoor air should flow properly and provide you and your family a clean, safe environment. If you are concerned about your homes’ air quality contact us for a free Visual Indoor Air Quality Analysis. Our technician will come out to your home and review all of your concerns. DeZiel Heating & A/C has a solution for you! We use the Rotobrush system. They have been the industry leader for almost 20 year. Their system is designed to give you the cleanest air ducts possible. It works by inserting the brush, which rotates inside the air duct loosening any debris stuck inside. As this is happening, the vacuum is sucking up the loosed debris, leaving you with clean air ducts. This system is safe to us on all types of duct work, including some flex. 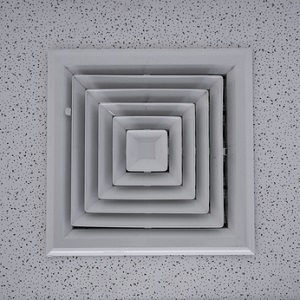 If you are looking for Indoor Air Quality and Duct Cleaning then please call 763-684-3965 or complete our online request form.